Presenting the Mediterraneo Collection, if you’re going for the “Putting on the Ritz” look, with a nod to classical vintage, this look brings its classic relevance to today’s bathrooms. 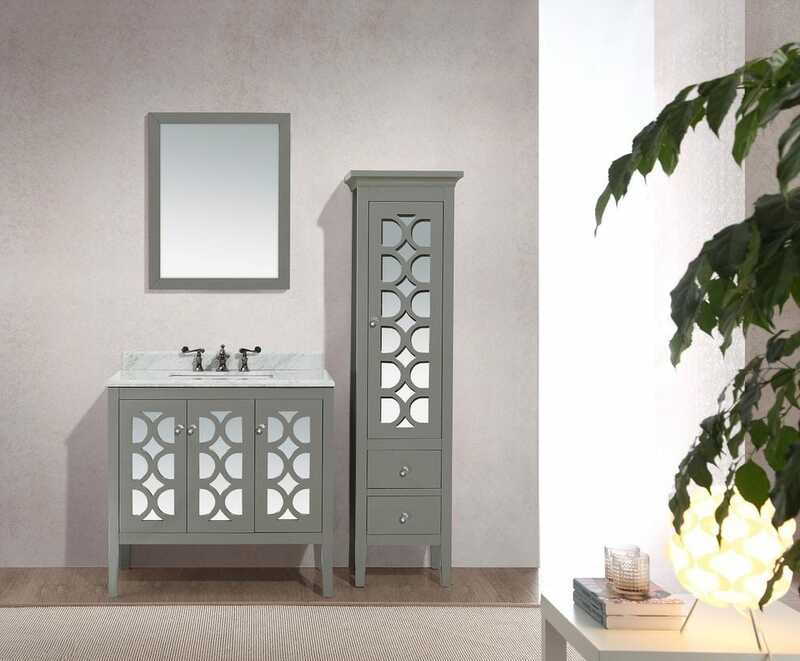 The Mediterraneo vanity features a real wood cabinet with doors that showcases classical cut-outs, layered onto a mirrored glass background. As you reach for the crystal glass knobs on the cabinets soft-closing doors, they open to an open bottom platform which contains a surprise hidden drawer with soft closing rails. Style and functionality have indeed married and produced this fantasy beauty, come to reality in two finishes: Grey and Classic White. Still seeking more storage? 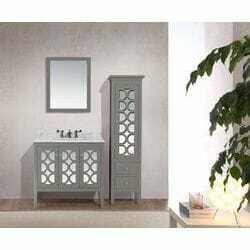 A coordinating tall side cabinet commands your attention and completes the ritzy elegant look.